and Nova Scotia to the east. 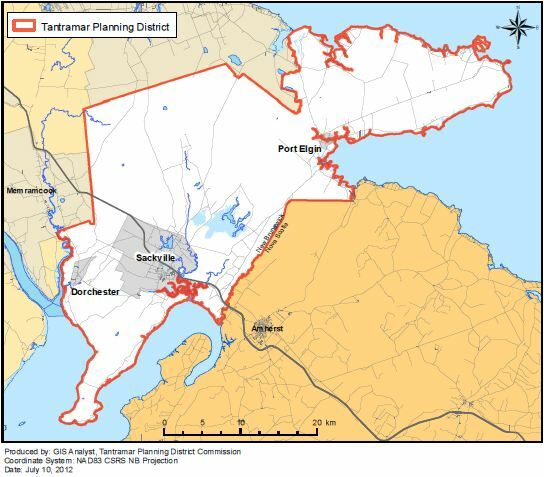 The region is governed by four municipal governments (Village of Dorchester, Village of Memramcook, Village of Port Elgin, and the Town of Sackville), one First Nations community (Fort Folly First Nation), and nine local service districts. The name for the Tantramar region comes from the translation of the French word “tintamarre”. 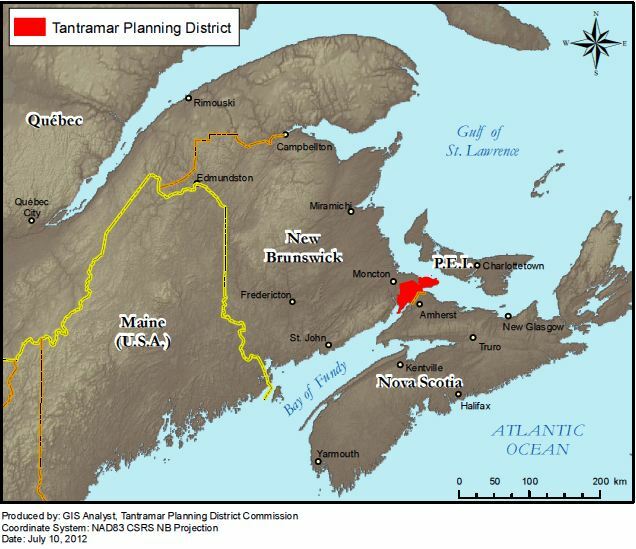 The region was given the name Tintamarre by Acadian settlers, who used the word to describe the din or racket caused by migrating birds and local waterfowl. The Tantramar name is a testament to the region’s biodiversity which acts as a regional symbol. The Tantramar region is located in New Brunswick, Canada’s only officially bilingual province. English is the most frequently used language in Tantramar, followed by French. Residents, found primarily in the Memramcook area, are bilingual in both French and English, and French immersion schooling is available. The Tantramar region hosts a wide range of educational facilities including nine licensed preschools, five elementary/middle schools, two secondary schools, one university, and one seniors’ college. One hospital (Sackville), one health clinic (Port Elgin) and three seniors’ homes service the region. There are few resource centres for families scattered throughout Tantramar including the Tantramar Family Resource Centre (based in Sackville) and the Port Elgin District Voluntary Action Committee. Police and volunteer firefighter services are present in all four main communities which also serve some of the rural areas beyond their boundaries. The Tantramar region is heavily reliant on service industries such as education, health, and financial services – 72% of the workforce is employed in the service industry. Average family income varies across the region, with higher averages recorded in Sackville and Memramcook regions. Unemployment rates in the region are higher in rural areas, although the rates have dropped across the region between the 2001 and 2006 census. Mount Allison University is the largest employer in the region with over 500 employees. The majority of exports in the region come from the agricultural and fisheries industries. Seventeen percent of the region’s land is used for agriculture. In the early 1990s and 2000s, tourism was a quickly growing industry for the Tantramar region; however, recent economic recessions have slowed growth. A large portion of the region is marshland located at or below sea level. Beginning in the 1630s, an intricate series of dykes was constructed that prevents 85% of these marshlands from flooding. More than half of the district is woodland (58%), farmland makes up 19.2%, residential is 16.6%, recreational is 4.9% and institutional is 0.7%. Shale gas exploration in the region has begun in recent years despite concerns from various parties regarding the unknown circumstances of the extraction process. The region used to be a heavy exporter of red sandstone in the early part of the century, but development has stopped in the past decades. Wind blowing off the marshlands is a prominent resource for the region, although capitalization on this resource has been limited. 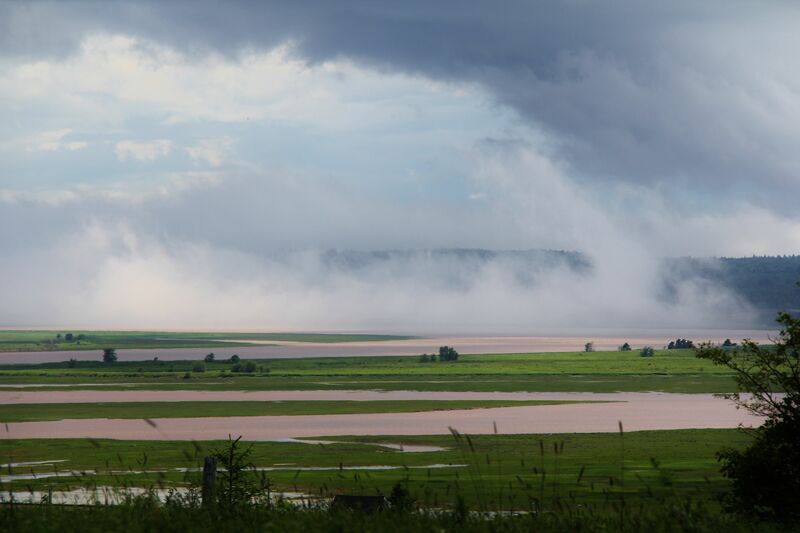 The lower geographical half of the region, including the Town of Sackville and Villages of Memramcook and Dorchester are located in the UNESCO Fundy Biosphere reserve. Most of the region is designated as a transitional area, although buffer zone designation can be found within the region’s borders.